Home » Is Machine Learning Taking Over Online Marketing Strategies? » digital marketing » Is Machine Learning Taking Over Online Marketing Strategies? How SEO Can Help Restaurant Businesses in Fort LauderdaleLet Us Market Your Bed & Breakfast in Tampa! The introduction of artificial intelligence into digital marketing is one of the major innovations in today’s digital marketing industry, as this shift has helped to streamline marketing processes and allow businesses to become more effective. 97% of leaders in the field believe that the future of digital marketing lies in the ways that digital marketers are able to work alongside tools based in machine-learning, according to QuanticMind. As the digital marketing landscape becomes more and more inundated by innovations in machine learning and artificial intelligence, it becomes imperative for top-of-the-line digital marketers to learn how to apply machine learning to their digital marketing strategies. As machine learning algorithms are incorporated in digital marketing strategies and artificial intelligence becomes more and more prominent, it becomes integral to not only keep up with the times but predict future patterns. Orlando SEO company MyCity Social utilizes top-of-the-line machine learning methods in order to deliver digital marketing and long-term SEO results that will take your company to the next level. Call MyCity Social today for a consultation to expand your business! So what exactly is this magical tool of machine learning and how does it impact digital marketing? Machine learning and artificial intelligence, terms that used to sound like a science fiction film, are now regular buzzwords in most digital efforts. Artificial intelligence and machine learning configure two separate concepts that just so happen to perfectly complement each other. While certain aspects of the “thinking” mind attempt to be harnessed by artificial intelligence (AI), machine learning (ML) works towards helping humans solve problems in a more efficient way. AS a subset of AI, ML uses data to teach itself how to complete a process with the help of capabilities provided by AI. Machine Learning is able to benefit businesses as an advanced tool that harnesses data in order to come up with effective solutions to a host of complex digital marketing problems, helps businesses find hidden knowledge in consumer data available to them in order to streamline marketing processes. Basically, machine learning can help make marketing processes more pinpointed and efficient. For digital marketers, the big question is this: How exactly is machine learning impacting the world of digital marketing? Even though the future implications of this tool in question is not totally laid out yet for digital marketers, it’s already having profound effects on the digital marketing landscape as we know it. ML tools have the ability to analyze extremely large sets of data and turn them into understandable analytics that can be used to the advantage of digital marketing teams. If an organization utilizes ML tools, their marketing teams are going to have more time to be able to specialize in other areas and use ML findings to discover new in-depth insights that can optimize their marketing strategies. In digital marketing practices, ML is being used in ways that helps to expand their understanding of their target consumer base and the ways that they are able to optimize their interactions with them. However, change comes along with this abundance of information, which will occur much faster than digital marketers can expect. IDC Future Scapes expects that this year, three quarters of developer teams will include some type of AI functionality playing a role in at least one service or application. By 2020, in addition, 85% of customer interactions will be able to be managed with zero human involvement, as Gartner noted. While some digital professionals may be fearing or expecting ML to take over their jobs, this is a tool to be harnessed and not an evil entity threatening to take over the jobs of digital marketer. Machine learning to be viewed as a tool whose main use is to make the jobs of digital professionals not only easier but also allow them to produce better results, as it can help enhance digital marketing strategies. 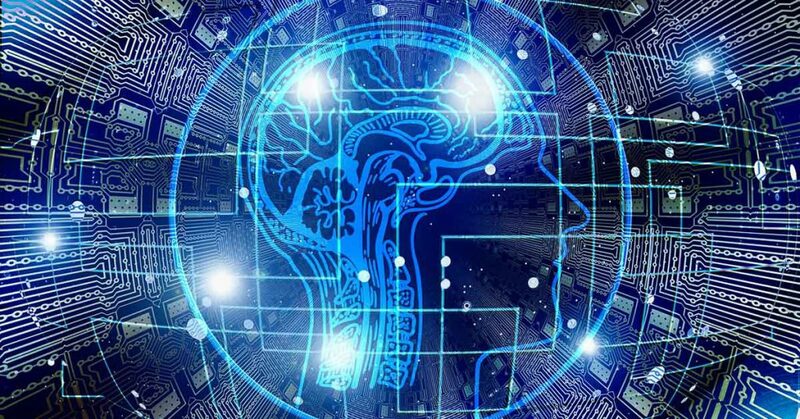 You can streamline your digital strategy and align yourself with an AI and ML-dependent future rather than be left behind, by utilizing ML tools and capabilities. In digital marketing departments all around the world, machine learning is being implemented. The implications of machine learning involve utilizing data, content, and online channels to maximize productivity and to help these digital marketers comprehend their target audience base more effectively. But how, exactly, are machine learning tools being incorporated into digital marketing strategies today? There are a few examples of how machine learning can be incorporated into your digital strategy that Orlando SEO Company MyCity Social will discuss here. Firstly, there is machine learning incorporated into content marketing. Digital marketers, bloggers, and businesses of different sizes have in recent years all been busy creating content of all types to capture the attention of their target audience and connect with them. This content comes in all different forms, such as informative blog posts, customer testimonial videos. And recorded webinars, and nowadays thickly populates the internet. The top three things that make content truly effective is defined by LinkedIn as audience relevance, engaging and compelling storytelling, and the ability to trigger an action or response. Machine learning tools can be a highly helpful component of assisting digital marketers in uncovering and understanding this data better. ML tools allow you as a digital marketer to spend time streamlining your tasks to reach more leads in less time with your content, through tracking consumer trends and producing insights you can act on. Another way that ML can be incorporated into your digital marketing efforts is through pay per click campaigns. The days of marketers trying to analyze data sets to measure the effectiveness of pay per click (PPC) campaigns are long gone, and today’s ML tools are able to help you level-up your PPC campaigns by providing information that illustrates the metrics necessary to help drive your business forward, the ways you can make strategic, better decisions based on the top performance drivers, adn how you can overcome the struggles that keep you from meeting PPC goals. Moreover, SEO continues to remain a major player in a well-rounded digital strategy, with many digital marketers choosing to specialize in this highly in-demand skill set. However, as across major search engines the SEO algorithms continue to evolve, insights from searchable content may possible start to become more relevant than generating specific keywords in the search process, thanks to the viability of AI and ML tools. In order to keep your web pages and online resources at their high-ranking place on search engine result pages, start re-evaluating the quality of the content that you produce rather than simply the keywords that you are optimizing for. Through changing your perspective to quality rather than mass content, you will put yourself ahead of the game when it comes to future-forward content creation and SEO. Speaking of content, content management is a huge part of moving forward with SEO and ML. Digital marketers must establish meaningful relationships with leads, prospects, and customers alike in order to drive brand awareness and continue to build engagement. As you attempt to optimize your dialogue and develop engagement across multiple online platforms, ML tools can be a huge assist in analyzing the types of content, keywords, and phrases that are most relevant to your desired audience. The rise of the machine learning chatbot seems to be on everyone’s mind these days. It’s highly probable that you yourself have already at some point chatted with a robot on a brand’s website. So how exactly are chatbots and ML related, and how do they have a continued impact on digital marketing? Basically, a chatbot is a virtual robot that is able to hold a conversation with humans either through voice commands, text, or perhaps both.Chatbots have been implemented into the interface of many huge brands- think about how Apple’s Siri feature or Amazon’s Alexa feature and other similar chatbots are able to perform searches, answer your questions, and perform certain commands when synced to appliances, all at your voice command. An example of how chatbots are starting to be synthesized into digital marketing can be seen through Facebook. Facebook has already been implementing methods in order to help develop chatbots for brands that they promote on their social media platform. The go-to communication channel for Facebook chatbots is messenger, as it allows for immediate consumer-to-virtual ambassador interaction at their fingertips. Chatbots, as seen through a digital marketing perspective, are able to assist you with engaging as a digital marketer with your targeted audiences on a more personal level. Chatbots are able to carry out a human conversation while being difficult for the person on the other side to detect, thanks to their natural-language processing abilities. Chatbots are able through ML and carrying on their ongoing conversation to collect data surrounding specific users, such as personal information such as the location of their residence as well as their product preferences. Digital marketers are able to start the process of synthesizing machine learning into their digital marketing strategy through a variety of way. ML techniques are able to help solve a variety of complex problems, for example, such as processing large data sets and creating personalized content drips for users almost immediately on the spot. Future-forward market research is being pushed and actualized through ML tools and chatbots, at rates much faster than a human being could ever physically be able to accomplish, while developing meaningful, personalized relationships with involved users. ML allows the modern marketing team to produce predictive knowledge with the help of artificial intelligence. Your team can harness this powerful data analyzing ability to use ML as a tool to your benefit in order to engage meaningfully with ever-more specifically targeted prospects at multiple points within the sales funnel. In order to truly succeed in a career in the world of digital marketing, a digital marketer must be passionate, driven, and work hard. But one of the most important components of becoming a successful digital marketer is flexibility and the ability and willingness to look ahead and continually adapt to changing professional landscapes. The job of a digital marketer has, with a seemingly endless online pool of content and data points, shifted from that of a business storyteller to the role of a technological manager. Digital marketers in today’s day and age must be able to use all the tools that are available in order to stay competitive and always look ahead to the future. This means that they must begin to utilize ML tools to automate processes and utilize data in the most effective manner in order to streamline processes and increase productivity. As digital marketing is an industry that isn’t showing signs of becoming obsolete anywhere soon, it is an industry ripe with both opportunities and challenges. More and more digital marketers now need to incorporate machine learning algorithms into their digital marketing strategies in order to streamline their processes and produce better results. MyCity Social is a top Orlando SEO company that utilizes the latest technologies and algorithms to help businesses expand. Call us today for a consultation and grow your business! December 17, 2018in digital marketing, digital marketing company miamiby MyCity SocialComments Off on Is Machine Learning Taking Over Online Marketing Strategies?